Hope you’re getting ready for a great weekend! Here is today’s Psalm reading for those that are following along with me. Blessings to you for reading and meditating on His Word. Now for my project today. 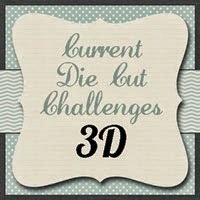 It’s Friday and that means there is another SOUS die cut challenge! This challenge we were asked to create something 3D! So this is what I came up with! 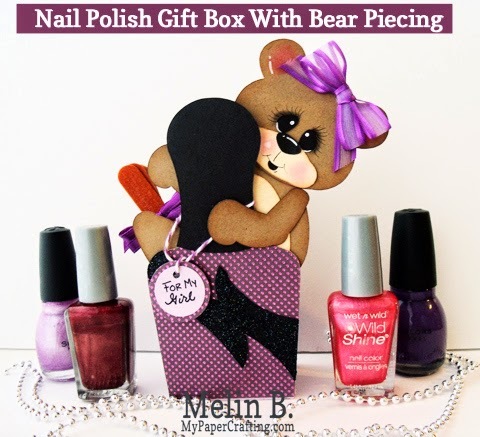 I made this adorable little nail polish box-gift holder. 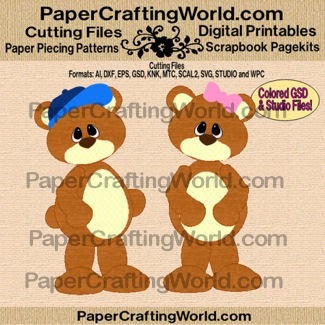 I used a cut file from PaperCraftingWorld.com. I used some papers from the DCWV Die Cuts With A View Cherry Limeade Stack. I then used a cute little bear piecing to “hug” the bottle top. I then cut the bottle top and decorative piece out in black cardstock. I used some Black stickles to cover the decorative piece on the bottle. I then added a little tag with some twine and hand wrote the sentiment. I did use my Enchantment ink pad set and my basics ink pad set to ink the bear pieces. I then used my dry decorator chalks and my chalk marker and fine tip pen to create her face. This is a side view so you can see, it holds two bottle of nail polish and some emery boards. There is enough room to add a little gift card in there too. It came together very quickly. A great way to give a little gift. This is adorable!! Love the bear's eyes!! This is TOO cute!!! Mary Kay consultant's would LOVE this!!! HOW CUTE!!!! Love your gift/treat box, Melin!